This post has been edited due to more research found to supplement this article. If anyone has some clarifications, or just a few brainwaves to help, please comment. It would be of big help. But for some reason, the poor rookie ALMOST did not end up into the pavilion's spotlight until today. But consider this. Just as plans for EPCOT Center were put together on the drawing board and the modelling floor, plans and patterns for each of the pavilions were also put together. The Wonders of Life pavilion (formerly to be dubbed Life and Health), was obviously no exception. ...Apparently it was an original planned attraction in the same spot, but there was a Star Trek​ theme (Trek had become really big in the early-to-mid 80's) and the original title was "Brain Command". It would have many, gnome-esque AAs controlling the brain of a man. You heard right, it was meant to follow into the footsteps of the Star Trek films (Jean Luc Picard anyone? ), with three nominated pilots behind three qualities of the brain: Emotion, Intellect (equivalent of Right and Left Brains) and the Nervous System. 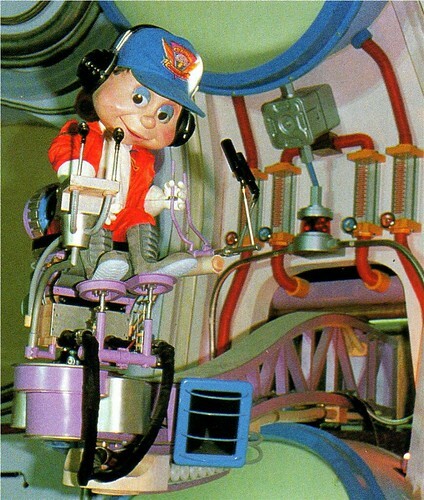 Readers, this was back in the 80's, the alleged educational prime of EPCOT Center, and its first grip onto entertaining and educating the crowds at the same time. The idea was pretty similar to what you saw in the Eddie Murphy​ flop "Meet Dave​". 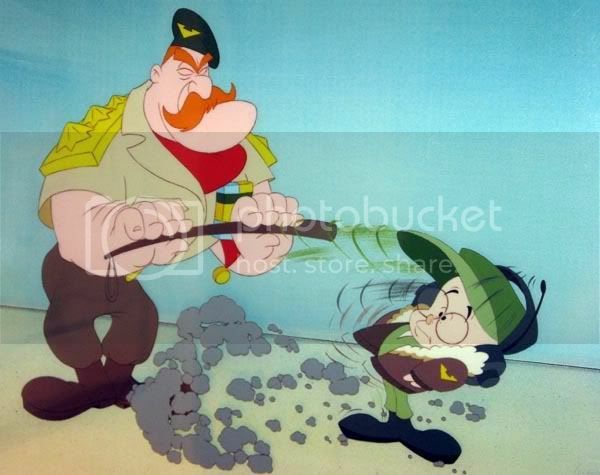 In fact, the writers of that movie are lucky that "Brain Command" was re-imagined with a military theme, because there would be a lawsuit from Disney, the similarties were that uncanny. The older pilot animatronic, whom was originally to be called Captain Cortex to be exact. Because of the high cost of Audio Animatronics, the Trek theme was removed and the AAs downplayed to one. (two, if you count the Hypothalamus) Somewhere in this came out the idea of comparing piloting a brain to commanding a military operation. And so it was heard that Cranium Command was to feature a younger, more experienced, cockier and capable pilot by the name Captain Cortex. He was originally going to be a more experienced pilot, tons of experience, and knows how to get the job done quickly as possible. we'll solve any problem on demand. 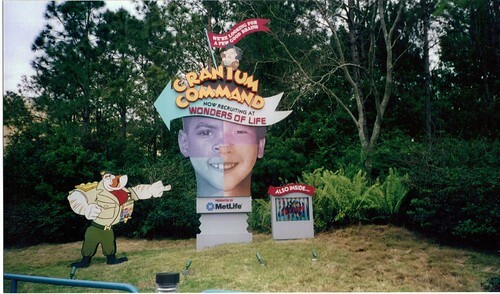 yes we are the Cranium Command. Buzzy's the one on the right, to get a much better idea of him. The transition from a smart-alecky young captain to a naive and bumbling one mirrors the creative process of Star Tours, in which Rex underwent the same transition during the creative process. But apart from more creative opportunities to try out the impossible, hiring Buzzy was apparently an advantage. If you compare Captain Cortex with Buzzy, side by side, the comparison is far more eye-widening. 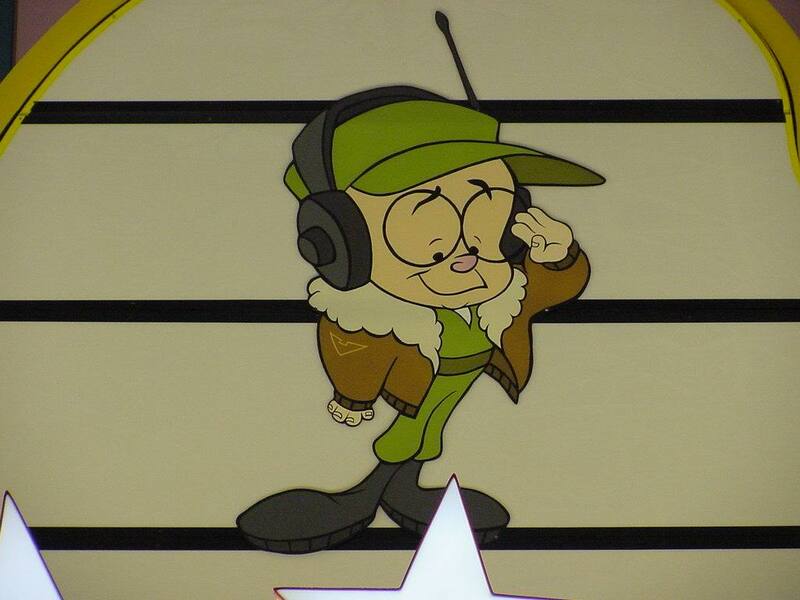 While Captain Cortex is seen as the 'Han-Solo' of the brain piloting operation (think Mr. Showoff) with tons of experience from other brains in the field, there was someting notable about Buzzy. Although Buzzy lacked the experience to consider being a valuable recruit in the ranks, he makes up for it with a quality that gets tha audience to relate to him in some way or another... his naïvety, for instance ("...that's Buzzy sir. Oh yes, you just let me in the controls room..." before being interrupted by the General). Also, in comparisson, Buzzy could fit into the category of people whom we might know in real life. Add to that, he's innocent, and he cannot help ending up in the slip of mistakes (hence adding a little meaning to 'what? nobody's perfect.'). "Thanks for commenting, and apparently you do mean this image right here that you were talking about?? More info from this site from where I just found it. Cheers!" Cortex applied first; Buzzy tripped him up and got him fired much later! PS: To date, 9 people have taken the 'What's Next for WOL' survey. If you can invite as many poeple to the survey as humanly possible, it would be gratefully appreciated. Also, another news article on the Wonders of Life pavilion has been found, and you are invited to have a read at the link below. Happy reading! Thanks again, Anon. With regards to the first pitch, there was a preshow on Captain Cortex, but in which case, it was covered by the early incarnation of General Knowledge. Some websites have the full track version of the first pitch (or demo) of the attraction, as easily heard online in Utilidors Audio Broadcasting for comparison purposes. Also, your explanation of why the Hypothalamus is easily overlooked kind of fits in very well. And thankyou for the provision on the Buzzy AA information at a glance. Yes it was thank you!! !